Growing up in his indigenous nation located in Canada, Colby noticed repetitions and patterns of issues that small first nation communities face. At the early age of 12 Colby noticed his passion to serve and aid in these communities’ liberation. At the age of 18 Colby started working in the front lines of communities concentrating on youth empowerment. Since that time Colby has continued to invite the courage to work with ending the legacy of unhealthy cycles and behaviours within many communities. Colby graduated from Chief Poundmaker School located on the Poundmaker Cree Nation. He continued his education in the areas of Psychology and Philosophy at the University of Saskatchewan. During the later course of his study, Colby felt the need to focus on his own personal growth through the direct experience of self-reflection and self-evaluation. During this time of personal empowerment he has had the opportunity to complete The Journey Practitioner Program and The Visionary Leadership Program. Colby is also a Life Skills Coach and Grief and Recovery Specialist. The skills Colby acquired during this time has lead Colby to the position of team leader on Crisis Response teams in service to first nation’s communities and a vibrant speaker in the area of youth empowerment. In recent years, Colby was appointed the Saskatchewan regional youth representative on the Assembly of First Nations National Youth Council. 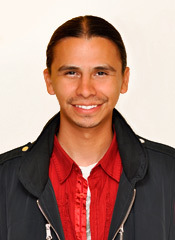 He later was elected to as co-chair to the National Youth Council, which is also responsible for sitting alongside the Assembly of First Nations Executive board which includes Elected Chiefs from each Provincial Region in Canada. In completion of this service at the national level, Colby has been advocating for justice and accountability within Poundmaker Cree Nation.